Sometimes I get worried when I read about the hype surrounding cloud computing. It looks as if everyone is compelled to climb on to the cloud whether they need it or not. In a way it is a ‘Damned if you do and damned if you don’t’ kind of situation. Needless to say, there are many failures out there. There are also many success stories. Here are some reasons why you are likely to savor success in your endeavor to adopt cloud technology. This is perhaps the biggest hurdle to be cleared while migrating to the cloud. Corporates either expect miracles to happen or wait with their fingers crossed while making the move to cloud technology. Either option will certainly lead to disappointment. There may be benefits in terms of flexibility in deploying cloud infrastructure. The costs may seem attractive. But there may be other hurdles which stop you from going full steam ahead. The initial sluggishness usually deters many hardened professionals. Sometimes you are likely to hit a wall and then hurriedly decide that cloud is not for you. We arrive at these abrupt critical decisions because at the back of our mind we have already concluded that cloud is impossible to handle. To avoid this trap you must start with an open mind. You must not expect results, by which I mean tangible returns, immediately. Remember that it takes time for a tree to give fruit. If you take a long term view, small glitches in implementation will iron themselves out over time. It’s possible that you may not face any issues while moving into the cloud. For this you need to plan well and not expect too much right from the beginning. By this I mean taking graded approach to migration. Every enterprise has critical and non-critical applications and process which run online. It is always recommended that you first experiment with non-critical processes. Once you have learnt from this experience you can start migration of your critical parts into the cloud. There are two kinds of migration known as hot and cold migration. These kinds of migration can be carried out to meet the needs of users. 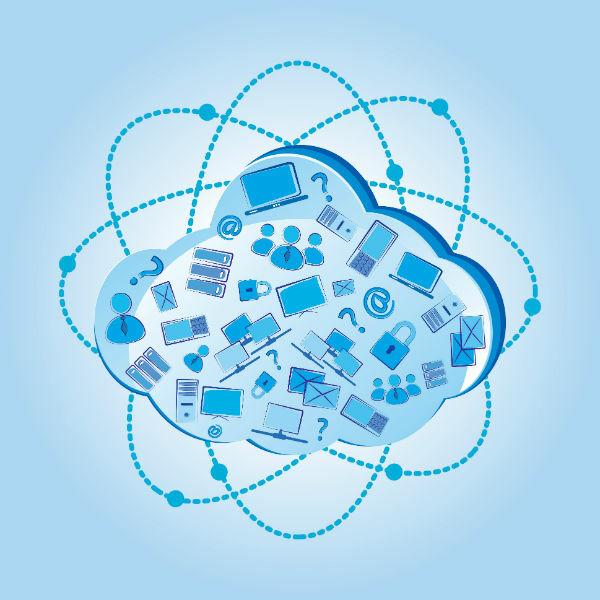 A hybrid cloud scenario is best suited for initial cloud deployment. By this I don’t mean private-public cloud. Here I refer to in-house infrastructure running parallel with cloud. This permits us to experiment, fail if inevitable, learn our lessons and finally get up and get going. You are playing safe as also taking your first baby steps into the cloud. In my experience, every cloud migration is different and unique. The problems you may face cannot be determined in advance. The only way forward is to practically experience change. We all know how important and difficult it is for us to manage change. Taking it one at a time can lead to peaceful resolution of issues and pitfalls. In my following post I will discuss factors which you must take into consideration while migrating to the cloud. Meanwhile you can think about what I have said here. I look forward to reader’s opinion on the subject. Hi Srini, thx for the insight about cloud adaptation. I sell CRM in the cloud to small business. I see the lack of proper onboarding is the main reason behind disappointment and churn. For many small businesses CRM and training are not prioritized enough in a busy work schedule. The low cost of SaaS is appealing but in the same time also easy to disengage. So yes it’s down to having the right expectations.